Get your company motivated for fitness by offering them a complementary entry to a Magnuson Series event or host your own running event managed completely by us! 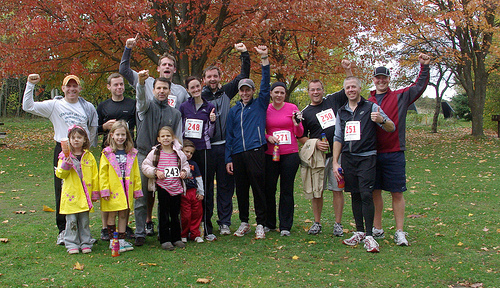 Benefits of providing a running event to your employees. A great addition to any health and wellness program. Motivation to get in shape for the event. An opportunity for employees to spend time outside of work. A way to promote health and wellness for employees as well as kids and family. Competition between departments or teams can create fun, lively competition. Systematic emphasis on wellness by a company has been shown to lower overall health care costs. Package C: If you know you have a large group of 15 or more people email us and we will get you a discount code for 15% off.